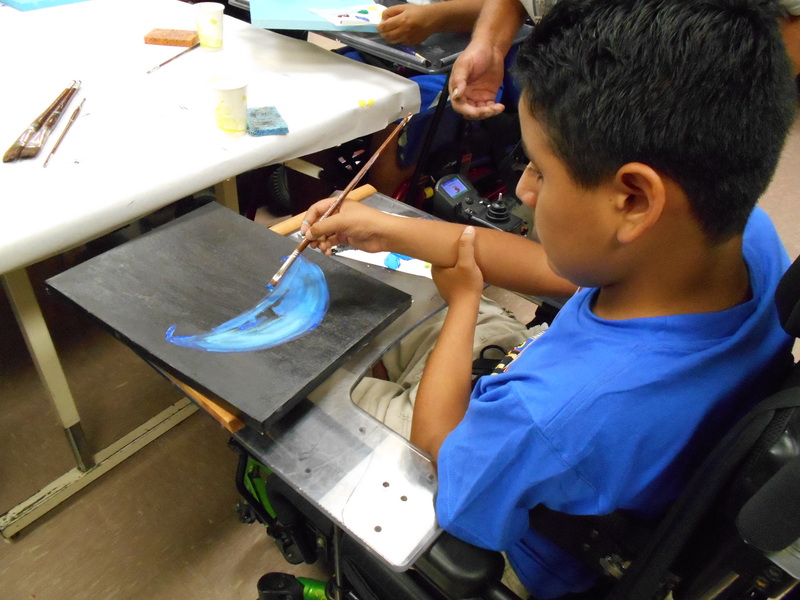 Our Pediatric Art Program at Rancho Los Amigos is designed to expose and educate our at-risk disabled youth (ages 12-24) to the visual arts. The program has been taught by adult disabled artists for the past ten summers, and the fine arts educational module has proven to be a successful way to positively challenge our pediatric patients. A child suffering a traumatic injury or disease needs a loving and supportive atmosphere, as well as treatment by highly-trained specialists practicing state-of-the-art medicine. Rancho Los Amigos National Rehabilitation Center (Rancho) furnishes both, helping young people and their families heal emotionally, as well as physically. An upbeat atmosphere encourages children to take a positive “I can do” attitude towards life. Psychologists and social workers address the emotional and behavioral needs of children requiring help to deal with their condition. The Don Knabe Pediatric Summer Arts Program opens a window to creativity for each of our pediatric patients who participate in the award-winning program. This program raises the self-esteem of the participants and it shows these wonderful young individuals that they are capable of amazing accomplishments as they imagine their futures and strive to make each one of their dreams come true. 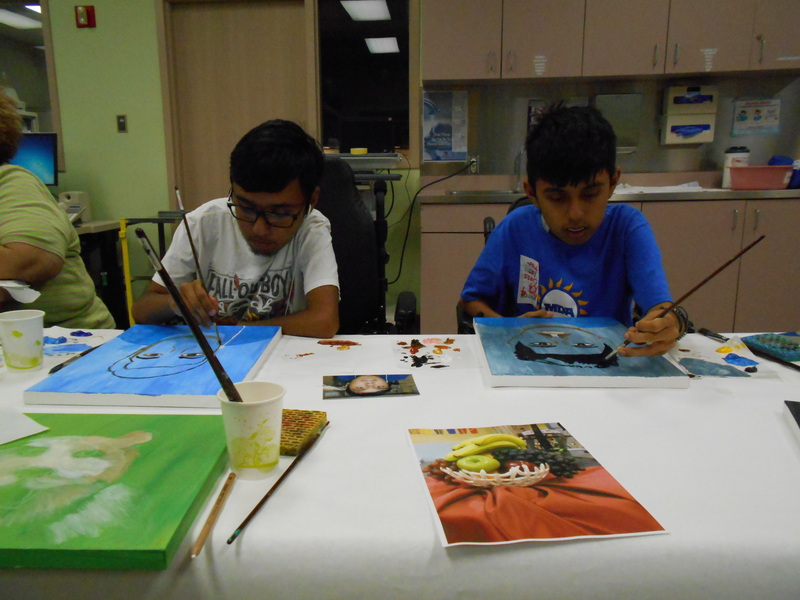 For more information regarding participation our Pediatric Art Program program, please contact (562) 385-6745.